The process of commercial roof restoration simply means taking care of the entire commercial roof system before it eventually wears out. 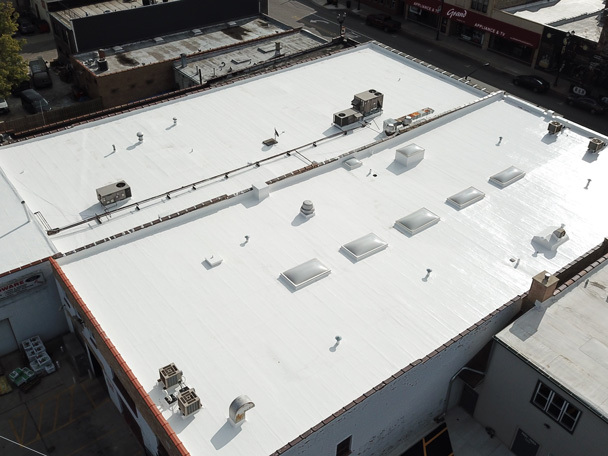 We specialize in Chicagoland commercial roof restoration, which includes the major roof repair or resurfacing of the current commercial roof system that you have to restore it to a serviceable condition. Matthews Roofing commercial roof restoration service can help you save thousands of dollars in premature roof replacements and expensive structural damage. 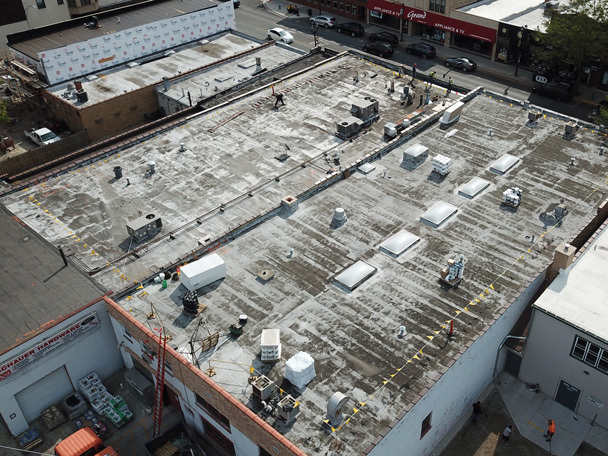 As much as 10 years can be added to the useful life of your Chicagoland commercial roof through restoration. This can save significant capital expense for your company. You can count on our expertise in Chicagoland commercial roofing gained through 75 years to provide you with exceptional focused solutions.